John Kellogg was a multi-talented man: surgeon, inventor of surgical instruments, exercise device inventor, pioneer in physiotherapy and nutrition, and a prodigious writer. At age ten, he worked in his father’s broom factory in Battle Creek, Michigan. By the age of 16 he was a public school teacher. The next year he attended high school and graduated the same year. In 1873 James and Ellen White encouraged him to take the medical course, and they assisted in his tuition expenses. 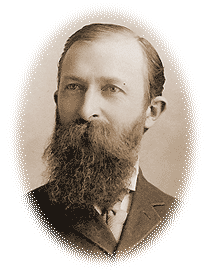 In 1876, after finishing a two-year medical course, at age 24 he was appointed superintendent of the Health Reform Institute in Battle Creek, Michigan. It had opened ten years earlier in answer to a call from Ellen White for Seventh-day Adventists to provide such an institution. Under Dr. Kellogg’s management it grew and prospered, achieving world-wide recognition as the Battle Creek Sanitarium. In later years, its patients included J. C. Penney, Montgomery Ward, S. S. Kresge, Dale Carnegie, Will Durant, Alfred Dupont, John D. Rockefeller, Luther Burbank, Thomas Edison, Booker T. Washington, Homer Rodeheaver, Admiral Byrd, Amelia Earhart, and many others. Shortly before the turn of the century Dr. Kellogg came into conflict with church leaders over the control of all Seventh-day Adventist medical institutions. He finally did gain control of the Battle Creek Sanitarium. He also began teaching strange doctrines regarding the nature of God. In 1903 he published a book, The Living Temple, that contained the principles of pantheism. Ellen White wrote him many personal messages of warning, but he ignored them. Dr. Kellogg took great interest in children and established an orphanage in Battle Creek. During his connection with the church, he probably did more than any other man to bring the work of Seventh-day Adventists to the attention of the world. His lectures and more than 50 books, as well as the Battle Creek Sanitarium, brought him fame. But Kellogg had difficulty with those who differed with him. In early years he strongly defended Ellen White and her message of health. But when she corrected him regarding his beliefs and practices, he began to pull away from the church. He developed a strong dislike for the ministers of the church, claiming that they were relatively uneducated and many did not practice health reform, especially concerning meat eating. A. G. Daniells, president of the General Conference, especially drew his antipathy. At his peak influence, Kellogg had 2,000 people employed in his work, while employees for the rest of the entire church numbered only 1,500. Ellen White warned him against separating the medical work from the church. She also was concerned that he had gathered too much power to himself. Despite Kellogg’s attempts to discredit her, she relentlessly tried to save him from apostasy. She even stayed in his home during the 1901 General Conference session, while still writing her appeals to him. But her counsels went largely unheeded, and when the Battle Creek Sanitarium burned in 1902, she saw it as a judgment against Kellogg’s teachings and policies. Finally, on November 10, 1907, the Battle Creek church dropped Kellogg from membership—a tragic ending to more than 30 years of powerful influence in the Seventh-day Adventist Church.